The district police have claimed to solve a blind murder case after 17 days. 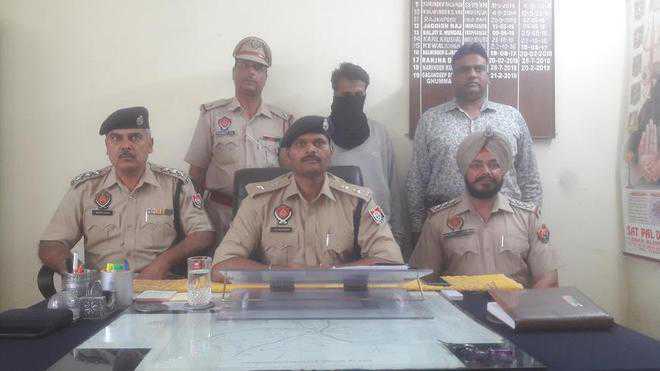 SSP J Elanchezhian told mediapersons here that a police team, led by DSP Garhshankar Satish Kumar, Rakesh Kumar DSP (D), Hoshiarpur, and inspector Gagandeep Singh Ghumaman, in-charge of the Garhshankar police station, had solved the murder case of an elderly woman, who was murdered on April 2 in Garhi Manasowal village. He said on the basis of the statement given by Gulshan Sharma, son of Ram Murthy and the deceased woman, who lives in Garhshankar, the police had lodged an FIR against the unidentified suspects under Section 460, IPC. 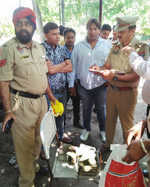 The SSP said on the basis of a tip-off, a suspect, Dinesh Kumar, a resident of Garhi Manoswal, was interrogated. A drug addict and debt-laden youth, Dinesh during the interrogation admitted that he had committed the murder. The police also recovered the sharp weapon used in the crime from him. The SSP said the suspect said he had kept the mobile phone of the victim to sell and after two days of the murder, deceased’s gold earrings and locket were sold by him to Shivani, a resident of Binewal for Rs 10,000. During search, the mobile phone of the deceased was recovered from him. 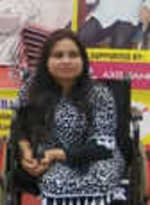 The police have filed another case under Section 412 of the IPC against Shivani. The suspect was booked under Section 302, IPC. The victim, Adarsh ? ?Bala (68), who was living alone in Garhi Manasowal for a long time, was found lying dead at her house on April 2.